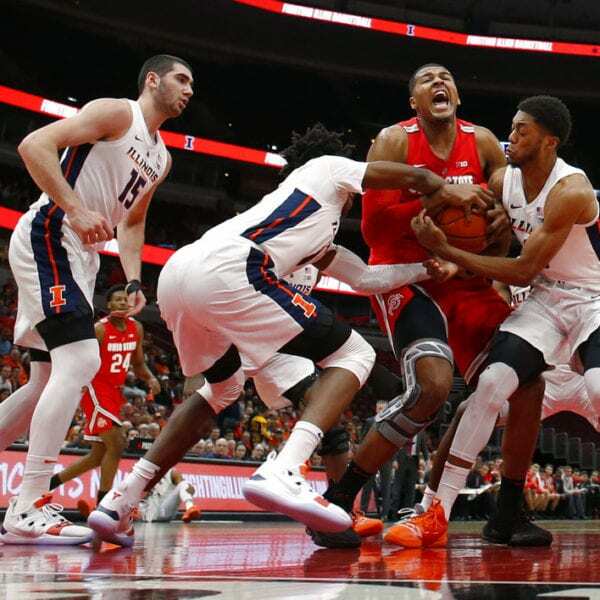 CHICAGO (AP) — Keyshawn Woods scored 12 of his 18 points in the second half, Kaleb Wesson added 13 and No. 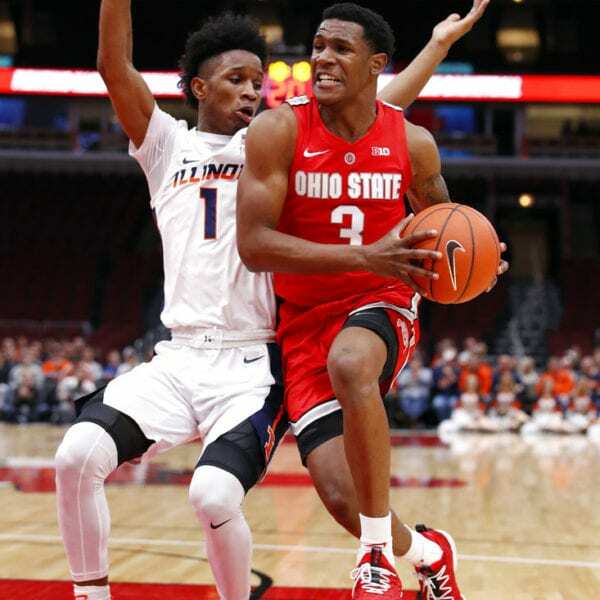 19 Ohio State rallied in the second half for a 77-67 victory over Illinois on Wednesday night. Musa Jallow had 11 points and nine rebounds as Ohio State (8-1) improved to 2-0 in the Big Ten. 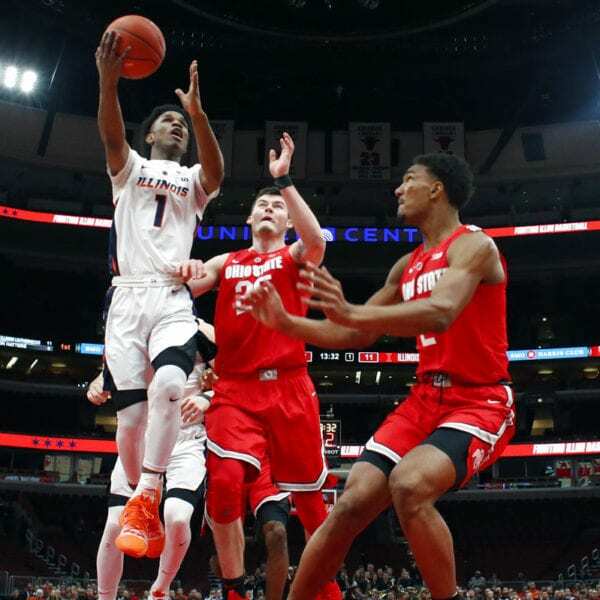 Trent Frazier and Kipper Nichols scored 18 apiece as Illinois (2-7, 0-2) dropped its third straight. Illinois has lost 12 in a row against ranked teams. The school’s last victory over a Top 25 opponent was 68-66 over No. 20 Iowa in the second round of the 2016 Big Ten Tournament. Illinois: The Illini’s two wins are against Evansville and Mississippi Valley State. They don’t have any glaring losses and have played tough against good teams, but a win against a major program is sorely needed. Ohio State: Hosts Bucknell on Dec. 15. Illinois: Hosts UNLV on Saturday. Be the first to comment on "No. 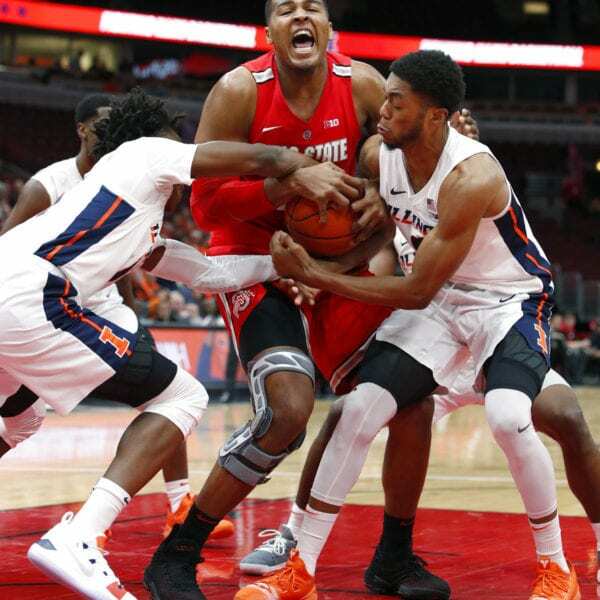 19 Ohio State Rallies In 2nd Half, Beats Illinois 77-67"